The Best Movies Podcasts from thousands of Movies Podcasts on the web using search and social metrics. Subscribe to these audio podcasts because they are actively working to educate, inspire, and empower their readers with frequent updates and high-quality episodes. 2.31 Mother, May I Sleep With Podcast? 2.39 How is this movie? Movies Podcast newsletter is a comprehensive summary of the day's most important audio podcasts episodes from the best podcasters on the web, and delivered to your email inbox each morning. To subscribe, simply provide us with your email address. West Hollywood, CA About Podcast In this podcast, Peter discusses about the latest movie and television news, reviews, trailers and opinions and much more. Facebook fans 160,775. Twitter followers 190,582. Burbank, CA About Podcast Stay up to date with new movie news, listen and get trusted reviews of upcoming movies & more from the team at Collider. Facebook fans 829,263. Twitter followers 103,138. London About Podcast The film experts at Little White Lies, along with selected colleagues and friends discuss the latest movie releases. Truth & Movies has all your film needs covered, reviewing the latest releases big and small, keeping you across important industry news, and reassessing great films from days gone by with the Truth & Movies Film Club. Facebook fans 111,091. Twitter followers 81,267. Kuala Lumpur, Malaysia About Podcast Every week, host Umapagan Ampikaipakan is joined by special guests Iain McNally and Bahir Yeusuff for some good geeking out about all things cinema. Interviews. Reviews. Rants. You can find it all, right here, on "At the Movies". Facebook fans 58,722. Twitter followers 973. Atlanta, GA About Podcast Chuck Bryant of Stuff You Should Know sits down with your favorite people to talk about their favorite movie. Simple enough, but what we get is much more than that. It's a look at what makes a favorite thing, and why someone's favorite movie says so much about who they are. More conversation than interview, Movie Crush, at its heart, is about the love affair we all have with the silver screen. Facebook fans 5,445. Twitter followers 4,017. Los Angeles, CA About Podcast Screenwriters John August and Craig Mazin discuss screenwriting and related topics in the film and television industry, everything from getting stuff written to the vagaries of copyright and work-for-hire law. USA TODAY HQ, McLean, Va. About Podcast Get down and nerdy with this USA TODAY podcast every Friday as hosts Brett Molina, Kelly Lawler and Brian Truitt dissect the geekiest video games, shows and movies. Facebook fans 7,828,763. Twitter followers 3,679,855. Los Angeles, CA About Podcast 'The Rewatchables,' the newest film podcast from the Ringer Podcast Network, features HBO and The Ringers Bill Simmons and a roundtable of people from The Ringer universe discussing movies they can not seem to stop watching. Facebook fans 118,040. Twitter followers 409,757. New York, New York About Podcast Nathaniel R and the invited guests discuss actresses, directors, the Oscars, current cinema and old favorites and much more. Facebook fans 2,449. Twitter followers 6,353. Cincinnati, OH About Podcast This podcast discusses everything about movies where they analyze and make fun of the movies they watch. Facebook fans 10,706. Twitter followers 11,872. About Podcast You Must Remember This is a storytelling podcast about the secret and/or forgotten histories of Hollywoods first century. Facebook fans 13,673. Twitter followers 30,047. Salt Lake City About Podcast Reviewing the Hell Out of Horror Movies. A bi-weekly audio podcast with four hosts who are Dead Serious About Horror Movies. Facebook fans 704. Twitter followers 6,865. Salt Lake City About Podcast Every Tuesday we bring you movie reviews of new releases that are currently in theaters from a film critic, an actor and a guy named Andy. Facebook fans 91. Twitter followers 1,231. Los Angeles About Podcast Each week on The Cine-Files we enter the world of great film and explore its ideas, history, filmmakers and the influences it has on movies today. Facebook fans 914. Twitter followers 27,438. About Podcast I read and discuss movie novelizations and how they compare to the movie they novelize. About Podcast Three guys from Southern Cal sit down watch a film and discuss. The films are a wide range that includes most genres. Charlotte, NC About Podcast Adult Beverage will be talking films, new and old, as well as anything else in the entertainment world while our guest will be enjoying an adult beverage in hand. Facebook fans 448. Twitter followers 16. Facebook fans 694. Twitter followers 1,954. Toronto, Canada About Podcast A celebration of low budget cinema. Smart genre film chat focusing on horror, action and sci fi. Subscribe and listen to movie reviews frpom Chris and Jeff. Los Angeles, CA About Podcast Every week, host Elvis Mitchell conducts in-depth interviews with the most innovative and influential people working in entertainment, art, and pop culture. Facebook fans 3,222. Twitter followers n/a. California About Podcast A daily chronicle of creativity in film, TV, music, arts and entertainment produced by Southern California Public Radio. Host John Horn leads the conversation, accompanied by the nation's most plugged-in cultural journalists. Facebook fans n/a. Twitter followers 5,271. Melbourne, Australia About Podcast Man vs. Movies is a movie review program originally airing on community radio in Melbourne, Australia. Join host James Josipovic as he reviews all the latest films, discusses classic and cult favourites, as well as fun movie trivia and film related music. Los Angeles About Podcast Legendary film critic Leonard Maltin and his daughter Jessie are the ultimate movie fans. They love talking about movies, especially with people who share their enthusiasm from living legends like Mel Brooks, Carl Reiner, and Quincy Jones to such contemporary artists as Amy Adams, Viggo Mortensen, Laura Dern, and Bryan Cranston. You will meet all kinds of interesting people and hear their recommendations of unsung movies you ought to know. Facebook fans 11,208. Twitter followers 70,649. About Podcast 5by5's hosts and guests review their favorite movies. Hosted by Keith Ruckus. About Podcast For Your Reference podcast is a weekly podcast by KT and Oti. They share their hot takes and general banter on the latest and iconic movies and tv shows. Detroit, MI About Podcast The Projection Booth has been recognized as a premier film podcast by The Washington Post, The A.V. Club, IndieWire, Entertainment Weekly, and Filmmaker Magazine. With over 400 episodes to date and an ever-growing fan base, The Projection Booth regularly attracts special guest talent eager to discuss their past gems. The podcast features discussions of films from a wide variety of genres with in-depth critical analysis. Facebook fans 4,644. Twitter followers 11,594. About Podcast Popcorn Talk Network, the online broadcast network that features movie discussion, news, interviews and commentary proudly presents iTalk Movies. Each show, join PTN as they talk movies with actors, directors, and filmmakers. Facebook fans 4,848. Twitter followers 5,211. Lincolnshire About Podcast Deep discussion and entertaining analysis of movies, games and media culture. This podcast is produced and hosted by Alex & Sharon Shaw. About Podcast Read it and Weep consumes bad media so you don't have to. Tune in every week when four comedians chew up a bad book, movie, or TV show and spit out an awesome podcast about it complete with games, jokes, and sexual tangents. Listen, otherwise our brain cells will have died in vain. Facebook fans n/a. Twitter followers 3,095. 31. Mother, May I Sleep With Podcast? About Podcast The only podcast that breaks down Lifetime Original Movies, one movie per week. Hosted by Molly McAleer. Facebook fans 621. Twitter followers 1,152. Los Angeles About Podcast The Indie Film Place is the indie film podcast created to encourage the independent filmmaker and artist. Foster a sense of true community. Be instrumental in bringing independent film further into the mainstream. To be an interactive podcast, hosting an environment of creative discussion where the listener can feel as if they are "hanging out" with friends over coffee, and talking about filmmaking, acting, music, and just being creative. Facebook fans 388. Twitter followers 706. Erie, PA About Podcast The Horror Duo, Cory & Forest, review the films that are legendary. Whether the films are bone chilling classics or no-budget schlock, they'll watch it and review it. So tune in today to the Slaughter Film Podcast for all of your horror news and reviews! Facebook fans 399. Twitter followers 550. Los Angeles, CA About Podcast Join your hosts Joanna, Ace, and John as we discuss and debunk movies based on true stories. If you've always wanted to know how movies compare with real history while listening to a group of foul-mouthed nerds, then this is the podcast for you. Facebook fans 119. Twitter followers 27. About Podcast A space where faith and film watching meet. Reviews and thought pieces using film that express spirituality. Central Florida About Podcast A podcast dedicated to retro movies, especially those from the '80s. Movies we cover must be 20 years old or older. And there are tangents. Lots of tangents. Los Angeles, CA About Podcast Chatty movie reviews and actor/filmmaker interviews, brought to you by two queer Bay Area pals: writer Jason Leroy (member of the San Francisco Film Critics Circle; lifelong devotee, Lilith Fair) and producer Rebecca Olarte (cohost, Shindignation Radio; lifelong subscriber, Cat Fancy). Facebook fans 575. Twitter followers n/a. Washington, D.C. About Podcast Welcome to Movies that Matter, the podcast about recent films going above and beyond the call of box office returns to boldly explore a social issue affecting people's lives. Facebook fans 63. Twitter followers 282. 39. How is this movie? United States About Podcast Join Dana Buckler on all things film and television, as he endeavors to explore and make sense of this ever-evolving world of entertainment. From Chaplin to Tarantino ; from VHS to Blu-Ray; from the video store to Netflix, How is this Movie? is your guide to the history and future of entertainment. Facebook fans 500. Twitter followers 31,694. North Carolina About Podcast Land Of The Creeps is a Horror Podcast dedicated to Helping Keep Horror Alive 1 movie review at a time. Land Of The Creeps will be posting Podcast shows and also movie reviews. Facebook fans 527. Twitter followers 2,452. California About Podcast A podcast about finding out if two halves of a movie really do make a whole. Created and hosted by Mike Trujillo and Ethan Hawkes, The Other Half is a podcast where each week the duo picks a movie, watches two different halves of the same movie and then tries to piece it together. It's a comedy/movie podcast like you have never seen before. Facebook fans 126. Twitter followers 567. About Podcast Old Millennials Remember is another one of those "nostalgia" sites dedicated to the best spread of pop culture in modern history, or at least according to our generation. The website, anchored by the Old Millennials Remember Movies podcast, is dedicated to movies, television and more from the mid-80s up through the turn of the century, but don't hold us to any specific time period. About Podcast This podcast talks about horror movies and gives reviews about the latest horror flicks. Facebook fans 512. Twitter followers 83. CG, OR About Podcast Two friends sit down to discuss movies and sometimes bring their friends along for the ride! About Podcast A centralized resource for Star Wars collectors and fans which documents vintage theatrical advertising and related ephemera, celebrating the Trilogy's original movie-going experience. About Podcast Pick Six Movies is a movie podcast where each season we select six movies, all related to a single theme. They examine the history of the people in front of and behind the camera, try to make sense of how and why the movie was made, then discuss each one in way too much detail to see if they are any good. Facebook fans 290. Twitter followers 12. Prescott, AZ About Podcast Reel Film Nerds is an incredible podcast based on the best thing in the world, movies of course! They discuss films of all kinds new, old, Netflix, Amazon, you name it. Facebook fans 105. Twitter followers 41. 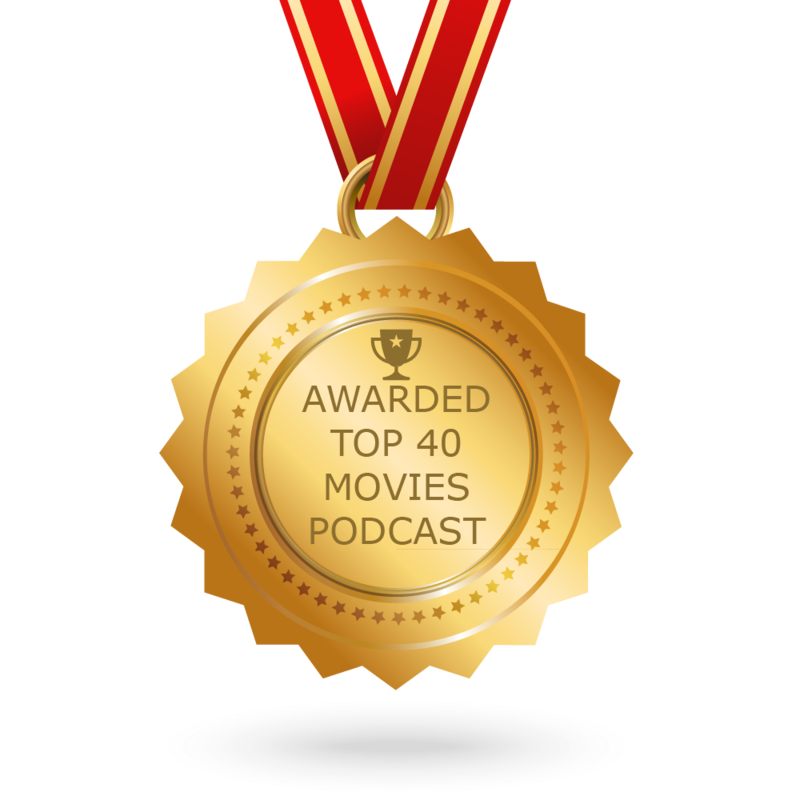 CONGRATULATIONS to every podcast that has made this Top Movies Podcasts list! This is the most comprehensive list of best Movies Podcasts on the internet and I’m honoured to have you as part of this! I personally give you a high-five and want to thank you for your contribution to this world.